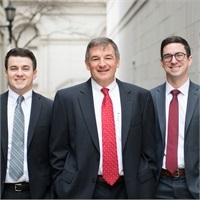 About | Guidance Advisors, Inc.
For over twenty years, we have supported East Tennessee companies and individuals as they develop and implement investment strategies. Our investment philosophy is simple: Your decisions are not about what investment products to buy, but how to make your investment strategy as prudent and intelligent as possible. We love doing our jobs with excellence. Whether your company needs advice on a 401(k), a 403(b), a SIMPLE IRA, or you are an individual investor, we are dedicated to helping you have confidence for the future. If you would like to learn more about our company, feel free to call us at (865) 637-2611.